Welcome to another edition of manicure spam! I haven’t done one of these since the holidays! That is way too long because I love this type of post. For all of you who are new to my blog, I used to try to post about once a month a Monday Manicure Spam because I really like alliteration. One problem with blogging about nail polish is that I don’t like to show the same manicure twice, or review a polish multiple times. But I am also a girl who likes to wear nail polish. I don’t buy nail polish just to wear it once, write about it and then move on to the next one. I buy polish to wear it! Since I try to blog almost every day, and I don’t really get sent any type of polish for free, being a polish-repeater is a necessity and this is an easy way not to bore you guys with the same ol’ stuff every day! Here are pictures of some manicures that I’ve been really enjoying over the last few weeks! If you want to read about the individual polishes used in each manicure, just click on the name below the picture and it will take you to my original post. And yes, I do change my nail polish almost every day! 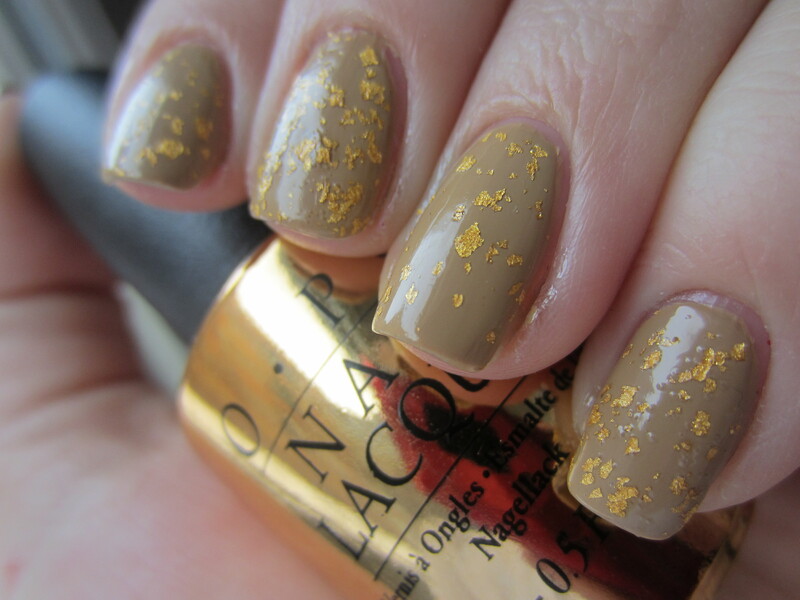 Hope you enjoy this manicure spam! Hope you enjoy this Monday Manicure Spam! Which manicure is your favorite?? What manicures are you loving at the moment? And stay tuned for another edition coming up! 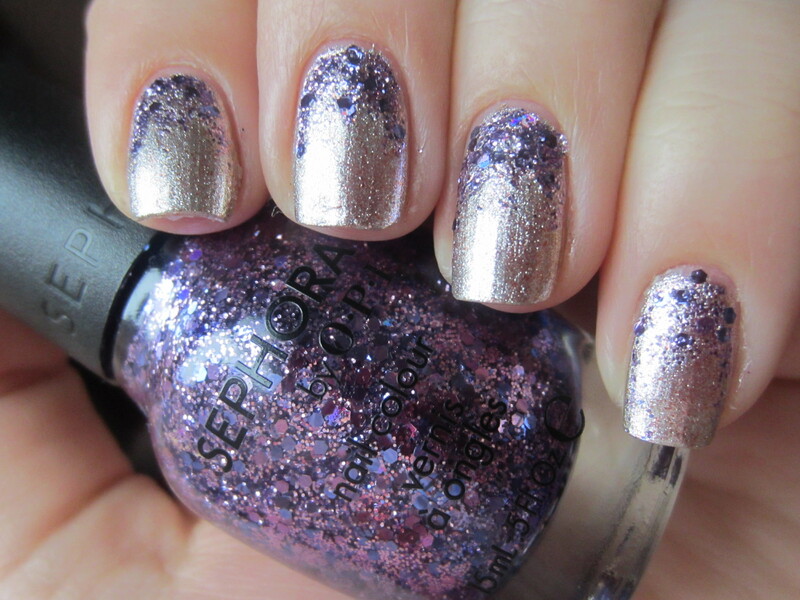 Love OPI “Designer De Better” and Sephora by OPI “Sugar Plum Fairies Gone Wild,” gorgeous combination! aww thanks! i actually didn’t come up with that one. one of my best friends came over for a girls night, and whenever my girlfriends come over they always come with bare nails and raid my stash. she paired those 2 together and did it as an entire manicure, like 2 coats of designer de better and then 1 coat of sugar plum fairies completely over top. i loved how it looked but modified it a little, but it was all her doing! All of them are gorgeous! And … I looooveee the bigger pictures. How do you feel about the bigger pictures, does it suites you? I was looking at Glass Slipper at Walgreen’s the other day (I had a $5-off-$20 coupon burning a hole in my pocket) and I didn’t get it, but I think I might have to go back and get it at some later point. I really like the “Sugar Plum Fairies Gone Wild” mani. Actually, all these are cute! aww thanks! glass slipper is a great polish and totally unique from anything else i’ve seen. personally, i like it better on pastel cremes because then it gives them a silver shimmer while not changing the color or making it too “busy” looking. if you get it let me know how you like it!